Tantalizing Trademarks™: Texas Proprietor Files Trademark Application for DOGGIE WETSUITS, But is it Merely Descriptive? Generic? 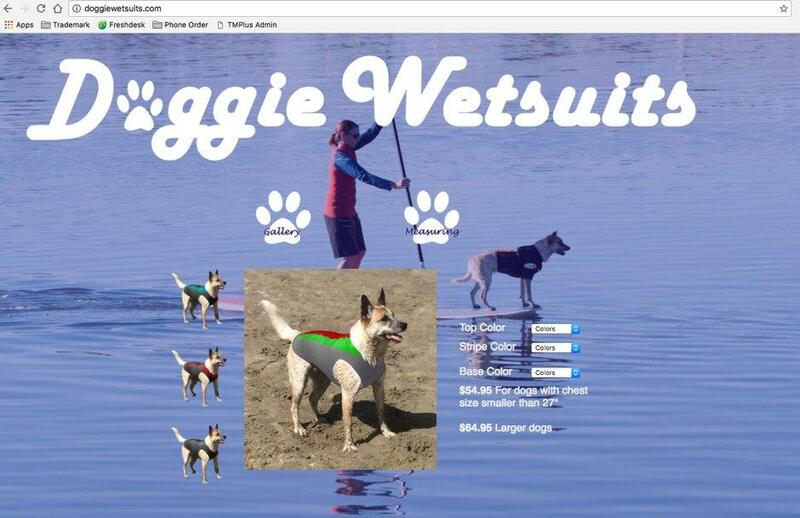 Texas Proprietor Files Trademark Application for DOGGIE WETSUITS, But is it Merely Descriptive? Generic? Wetsuits aren't just for humans anymore, they're for the dogs. That is, according to Surf'n Sea Custom Wetsuits, a sole proprietorship in Texas. 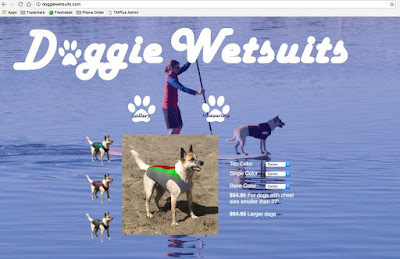 On April 2nd, that business filed a federal trademark application for the stylized wording DOGGIE WETSUITS seen below, covering "dog wetsuits, sports, clothing, wetsuits, water activity, dog products" in Class 18. According to the application, Surf'n Sea Custom Wetsuits has been selling these dog wetsuits as least as early as October 11, 2015. But is this mark merely descriptive, or possibly generic for the underlying goods? Merely descriptive marks describe an "ingredient, quality, characteristic, function, feature, purpose, or use of the specified goods or services" and can only be registered on the Principal Register at the USPTO upon a showing of acquired distinctiveness in the marketplace. See TMEP 1209.01(b); 15 USC 1052(f). Generic words or phrases, on the other hand, "are terms the relevant purchasing public understands primarily as the common or class name for the goods or services" and can never be registered with the USPTO. See TMEP 1209.01(c). Is the term "doggie wetsuits" a term the relevant public would understand as primarily the common or class name for dog wetsuits? Does that term merely describe a function, feature, purpose, or use of the underlying goods? We will find out in approximately three months when this application is assigned to an examining attorney at the USPTO.